Artificial Intelligence or AI, Machine Learning and Advanced Analytics – at Advectas we use the collective term “Data Science”. But the important thing is not what it is called, but how it can be used to help your business. Business Intelligence tools offer excellent scope for following up an operation’s key performance indicators for current business strategies and business models. However, today’s digital leaders increasingly often use Data Science for advanced analysis of large quantities of data. The aim is to further improve insight, perhaps primarily by optimising the operations in various ways. Data Science also makes it possible to predict upcoming events, which may impact business strategies and drive the development of entirely new business models with a clear competitive edge. More about this soon, but first: what exactly is Data Science and how does it tie in with what is perhaps the hottest term right now: Artificial Intelligence or AI? 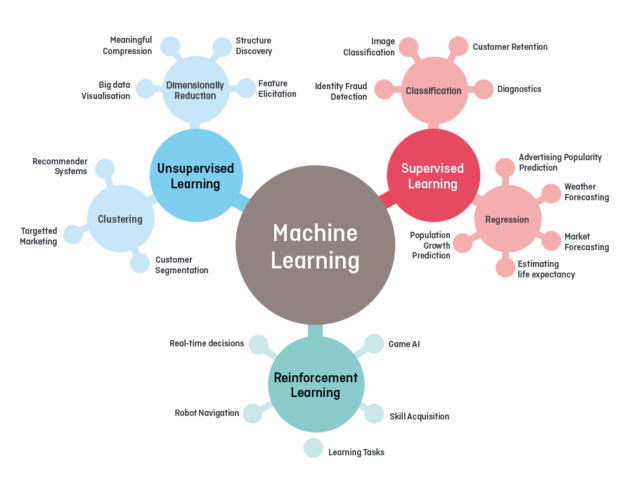 Data Science, AI AND Machine Learning – WHAT’S THE CONNECTION? Data Science relates to the use of scientific methods such as mathematics, programming and computer science in combination with processes and systems in order to extract knowhow and insights from data. With the help of advanced data analysis we can understand, predict and respond to digital input from various events and activities, thus optimising our operations in a way that would not otherwise be possible. One important tool in Data Science is the group of algorithms known as Machine Learning (ML). An algorithm is a function or model which a computer program can follow and run. The idea behind Machine Learning is that the algorithm itself constantly learns to find patterns and rules. This is a must when the quantity of data is so large that rules and patterns become too complex for the human brain to interpret. AI is more of a philosophical term: some kind of created intelligence. Today, AI takes form in Machine Learning described above, which is possible thanks to the broad digitalization and the vast amount of data which follows in in path. If you have any questions or concerns, please contact us. We will respond shortly. In general, learning (for human beings and machine alike) can take place in three ways. First, learning on your own without any input from other people. This is known as Unsupervised Learning. Second, learning from someone else, which is known as Supervised Learning. The third method is to set a goal and test different ways of reaching it, with a reward that varies with how well you have performed. This is known as Reinforcement Learning. It is these three main methods, including a number of sub-groups, which are applied in ML. Unsupervised Learning is ideal if the data contains a high level of dimensions and hence is complex. The result is patterns, often in the form of clusters. After that it is necessary to interpret these clusters to link them to insights and/or actions. 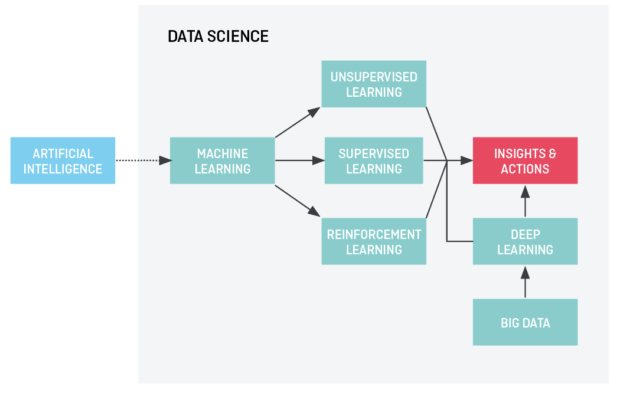 Supervised Learning means that an algorithm is trained for a specific task with the help of data equipped with labels. The model is then verified against new data that the algorithm has not previously encountered. The algorithm steadily improves as time passes, resulting in a reduction in the number of errors. Reinforcement Learning is the third major model and it is often used when there are several possible actions linked to incentives or goals. One major advantage is that the training takes place autonomously, without the need for external labels. The disadvantage is that the algorithm learns iteratively from the very start for each and every problem, which means it can take a long time to develop a good solution. Using large and complex artificial neural networks (resembling the human brain’s connections between neurones and synapses) we can today solve complex problems with the help of Machine Learning. This method is also known as Deep Learning and it is particularly powerful for graphic image analysis, for instance when unlocking your laptop or mobile phone using face recognition. It is largely thanks to Deep Learning that AI has become so powerful today. One particularly powerful sub-division of Deep Learning is GAN (Generative Adversarial Network) with which it is possible to generate new data, for instance to produce draft designs for new clothes. One important factor relating to Machine Learning is that it usually requires large quantities of data, often with history dating back several years. Sometimes you need some kind of external environment, like a cluster, for storing and fetching your data. This comprehensive amount of data that is often referred to as Big Data. The data may be sourced internally such as from business, production or CRM systems, or it may come from external sources such as various websites and social media, sensor data (like the Internet of Things). WHAT’S THE DIFFERENCE BETWEEN Data Science AND Business Intelligence? The main difference between Business Intelligence and Data Science lies in the level of intelligence. Data Science can be said to pick up where Self-Service BI ends, although the interface may vary. BI tools can for instance be used in a DS solution to visualise results. However, compared with BI, Data Science generally provides deeper insights and might provide a sharper competitive edge. 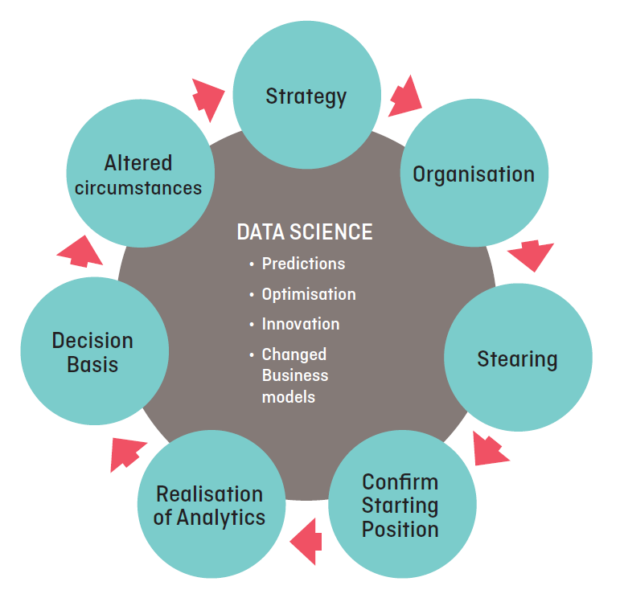 Another crucial difference is that Data Science permits a proactive strategy since its analyses can offer forecasts for the future, whereas Business Intelligence in principle is reactive by presenting historical information. Statistical analysis – What will happen if the trend continues? Forecast about the future, based on the assumption that the same pattern will continue. Predictive analysis – What is the likelihood of something happening? Prescriptive analysis – What actions should we take to obtain an optimal result? Embedded analysis – Execute the optimal actions automatically (more of an application of above). Sometimes the term “general AI” is used, which means that the algorithm reasons, draws its own conclusions and creates new actions in accordance with its own goals. This is not something that exists today. According to a fresh survey of hundreds of scientists, AI is something that lies far ahead in the future. That likelihood of having general AI within the next 50 years is estimated at 50%. Who is your customer? What does the customer want, and when? What is this customer worth for us? How should you reach the customer? Which type of campaign is most cost-effective? Advectas helps you get the right answers with the help of Customer Analysis. What will sales be like next year? What size orders should we place in order to meet demand, without building up excessive stocks? Sales analysis, forecasts, automated sales activities and purchasing recommendations are examples of applications where Advectas Data Science can contribute to both insights and actions. Through analysis of sensor data, singly or in combination with other data, Advectas can help optimise and streamline your operation. Examples of Industrial Analytics include the possibility of optimising planned maintenance to reduce wear-related costs and standstill costs (Predictive Maintenance), as well as analysis of machines, tests, vehicles and product development in real time. Other application areas include optimisation of production, stock maintenance and so on. Nowadays most companies, not least in the service sector, have enormous assets in the form of text. They may take the form of surveys, customer service dialogues, logs, manuals, legal documents, CVs and even social media and Websites. By analysing text on a large scale it is possible to find new insights and create value. Advectas has both in-depth knowhow in this field and smart tools that allow you to perform the analysis yourself. Proactive operational management and innovation through Data Science is not just about access to data and advanced technology. The road to the data-driven organisation is equally a strategic move, where one’s lead is continually challenged and the company must respond on the basis of new insights. This is not just about measures that support the existing strategy – it is equally about measures that change the current strategy and business model. Advectas has a number of methods to help you get started with a pilot programme or limited POC project, or to further develop your existing Data Science programme. One of these methods is Advectas Analytics Jumpstart. In addition, we have several experienced Management Consultants who specialise in digital transformation and who are always ready to help you as data becomes an increasingly crucial resource in your business operations. Want to find out more about what the Advectas Data Science team can do for your business? 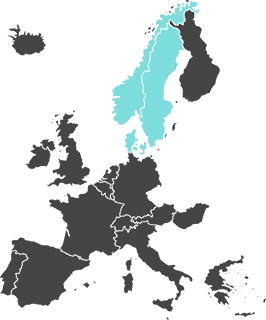 Want one of our Data Science consultants to provide on-site support for your operations? Don’t hesitate to get in touch with any of our sales staff or fill in the contact form and we’ll get back to you. There are many smart applications in the Data Science field and it can sometimes be difficult to know what opportunities the technology actually offers. To provide inspiration we have therefore compiled a selection of deliveries to some of our customers.